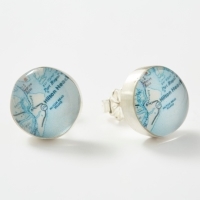 CHART Metalworks (chartmetalworks.com), designers of handmade jewelry and accessories including maps and territories, has the perfect gift for him and her this wedding season. With every CHART Metalworks piece, you are able to take the location of a special place, and or memory, and put it into a gift that will last a lifetime. From gifts ranging from customizable necklaces to engraved paperweights, there are a variety of meaningful and memorable products to choose for your loved one. 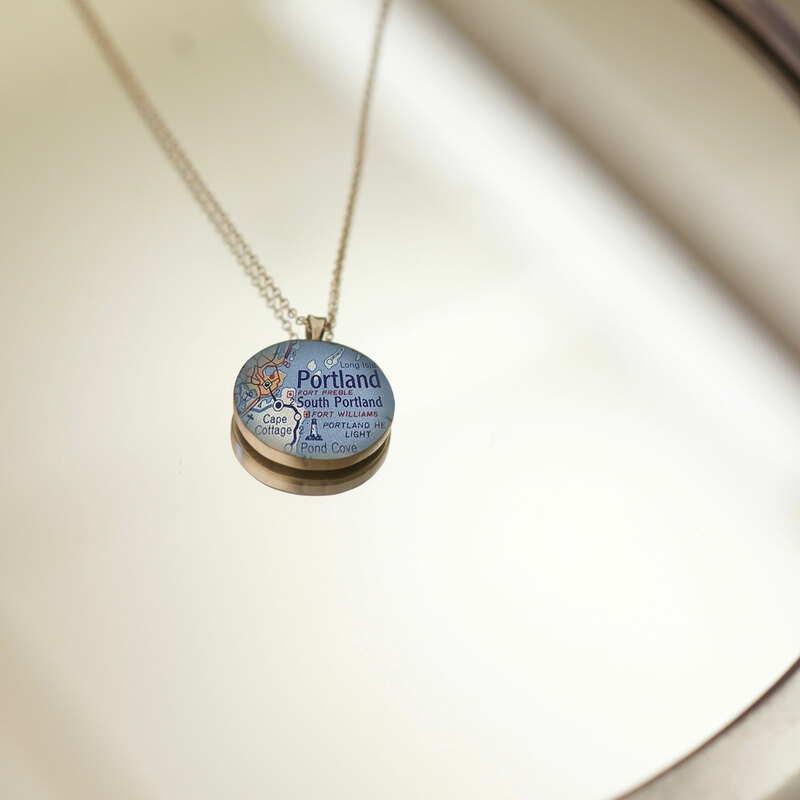 The Photo Swing Locket, one of our most popular necklaces, gives the ability to choose a location of choice as well as on snippet of memorabilia on the inside. Whether it is two photos, a special note, or a special memory, the choice is yours. Our Stud Earrings with many different nautical themes, as well as hearts and dragonflies can be worn with just about everything. Whether it be a formal or casual occasion, our handcrafted custom Silver Hook Bracelets preserves any memory right on your wrist. With the option to further personalize with engraving, this bracelet is the key gift to give on the special day. Suit up with our Cufflinks that give a modern take on traditional wear. 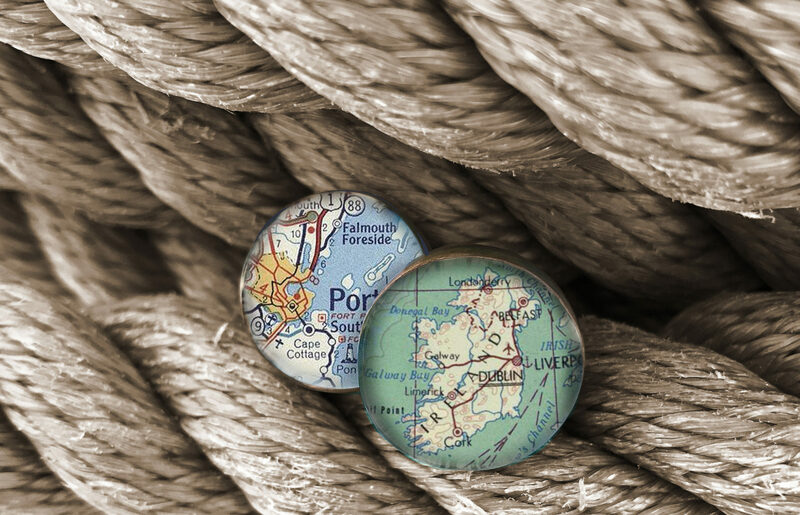 With our custom-made cufflinks, you can easily capture the coordinates of your choice on your sleeve. Surprise your loved ones with the perfect gift for grooms and groomsmen. Looking for something easy and affordable? With our Money Clip, you can accomplish this. This handsome accessory can be customized with coordinates depending on which memory you would like to remember forever. Our signature handmade Bottle Openers can act as a perfect gift for him on his special day. 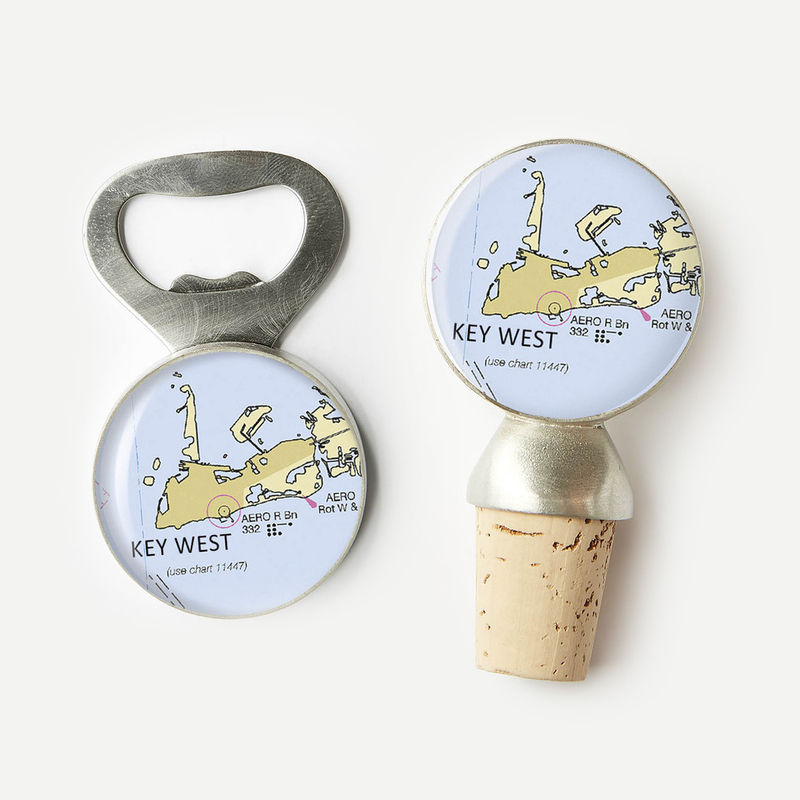 With our bottle opener, chose a special spot and relive it with every use. Gift these to those traveling far to the wedding destination to be a part of the couple’s journey. What’s the ultimate gift for your favorite lovebirds? With our Handcrafted Picture Frame, you can get both him & her a memorable gift all in one. This brushed aluminum frame gives the ability to customize with your custom map location & matching engraved location name and coordinates. Looking for something to symbolize where your relationship started with your bridesmaids? Our classic Bangles are customizable to any location and or memory you may have with your bridesmaid. Make sure your groomsmen are best dressed in our customizable Tie Bars. Honor special times spent together, and memories made with our sleek and stylish tie bars. Like what you see? For purchase inquires or more product information please visit our website. Don’t forget to follow us on Instagram and Facebook. CHART Metalworks is the creation of a long-time sailor from Maine. One day in 2006, surrounded by scrolls of nautical charts in her home, Charlotte Guptill was inspired to incorporate the medium into her designs. In 2008, CHART Metalworks was formally launched. 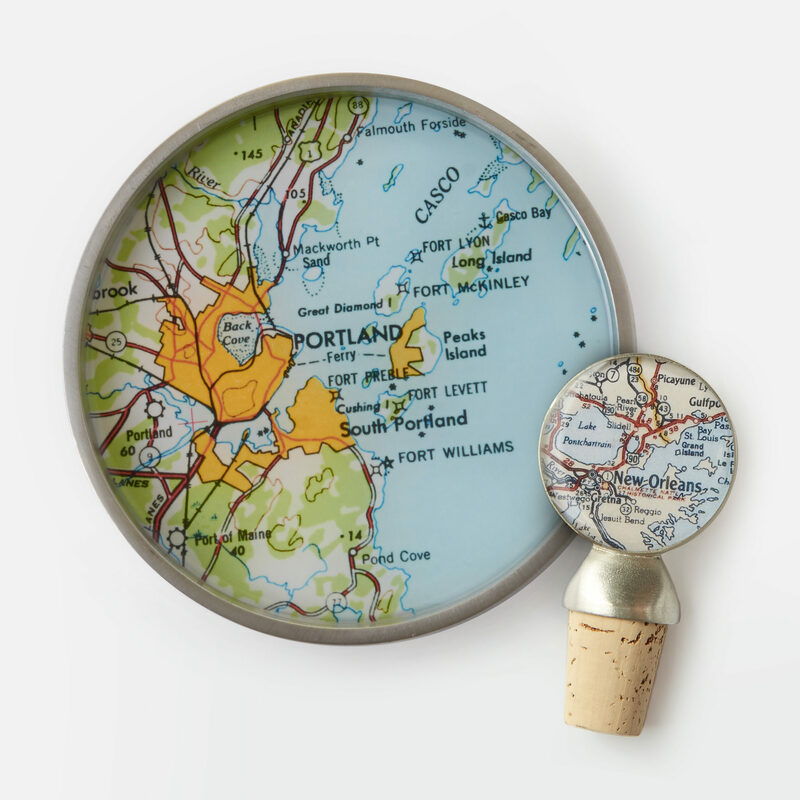 Now with the help of a talented pack of Maine based artisans and an expansive jewelry collection, they are diving into new nautical lifestyle collections and handcraft custom nautical chart and map vessels allowing you to capture your most treasured memories across the globe.